What Bit Of Space Memoribilia Was Auctioned Off For $68,000 In 1993? Which Video Game Featured The First Widely Known Easter Egg? In 1993, the Russian government auctioned off some rather unusual things including a lunar rover and lander from the Russian space program. 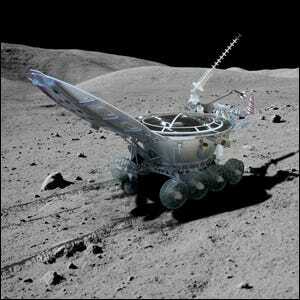 What was most unusual about it was the location of the equipment: it was still firmly planted in the lunar soil.